Here are more of my favorite books. I have not yet written the reviews for them. If you see something that interests you, go ahead and click on the book cover. It will take you to the book's page at Amazon.com. Enjoy! Books on Breastfeeding and Attachment Parenting. 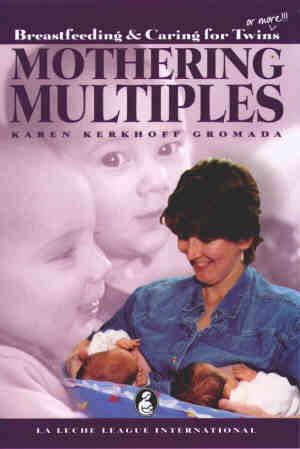 Take a look at the review that LaLeche League has on Mothering Multiples.